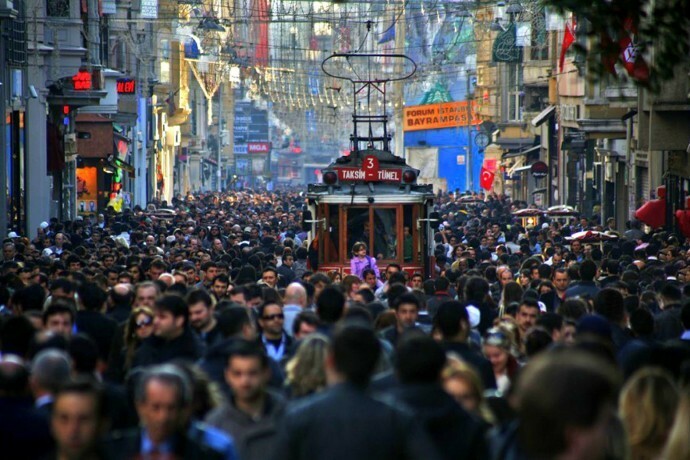 Istiklal Avenue is the most popular and cosmopolitan street of Istanbul. Millions of people flock to this street each day. Shops, passages, cafes, restaurants, bookshops, cinemas and consulate buildings make this street a great center of attraction. Fancy boutiques and shops down the buildings in Istiklal Avenue will definitely take your attention but do not forget to look up as well! Therefore you can see great structures of Art Nouveau and Neo-Classical architecture. 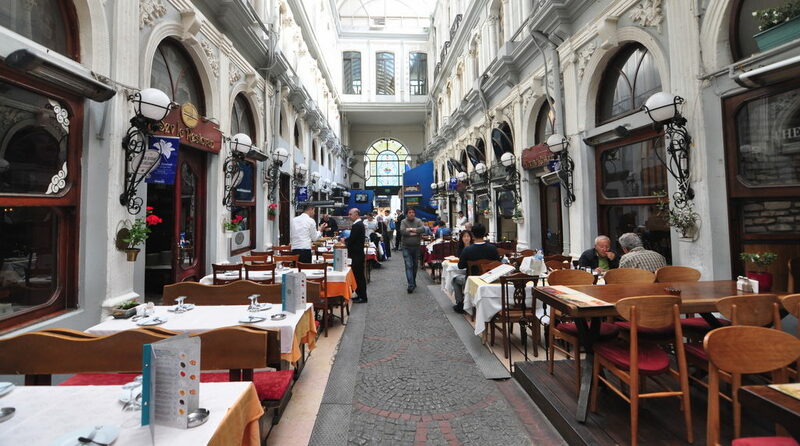 The biggest reason for the colorful characteristic of Istiklal is the hybrid culture of this area since 1850. After the opening of many embassy buildings in this area during the late Ottoman period, this street has been an area of settlement by the foreign people. French and Italians, named as Levants, Orthodox Greeks, Armenians and Jewish people settled here. When many rich families and ambassadors settled there, architectural development peaked and a lot of mansions, hotels and official buildings were built. 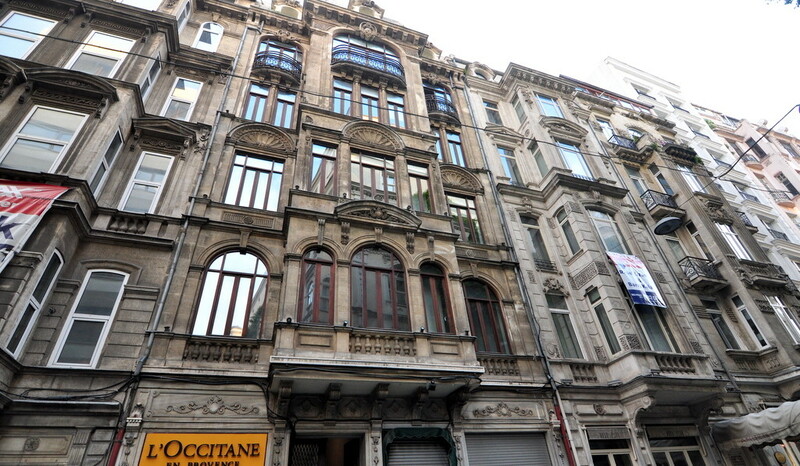 Pera, known today as Istiklal Street, was leading this galloping development. 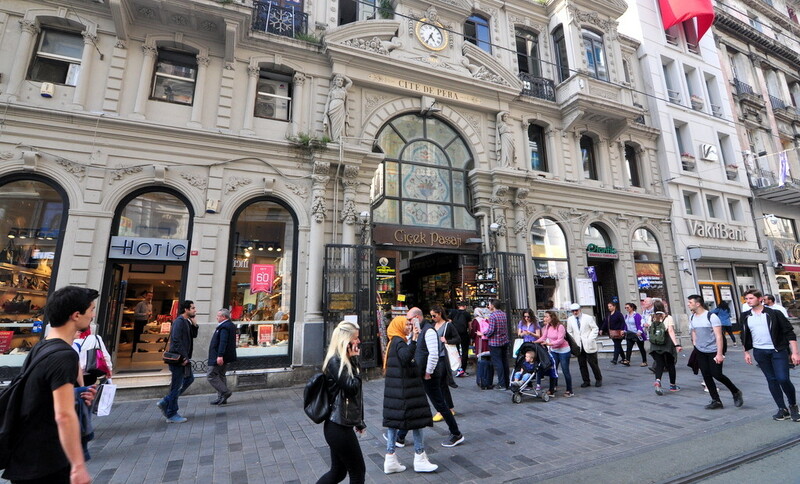 As an extension of urban and cultural development, Istiklal Avenue, known as Grand Rue De Pera or Cadde-i Kebir (Big Street), appeared in Pera. 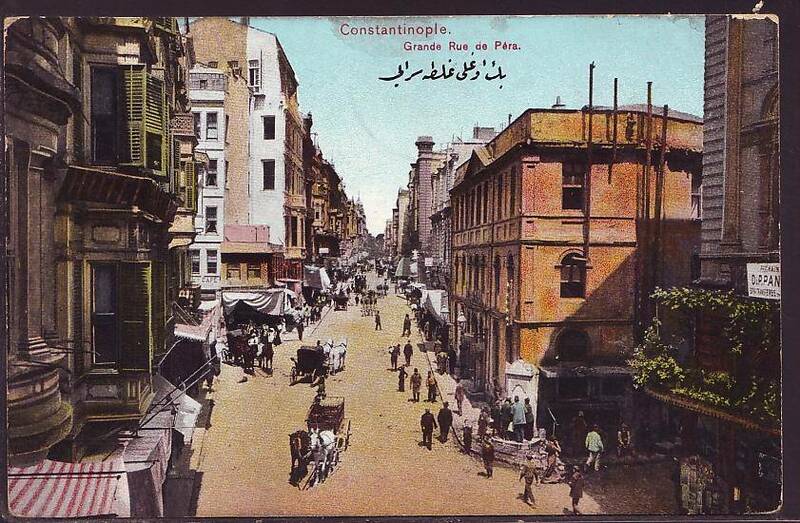 Istiklal Avenue used to be known as Grand Rue De Pera in the Ottoman Istanbul. 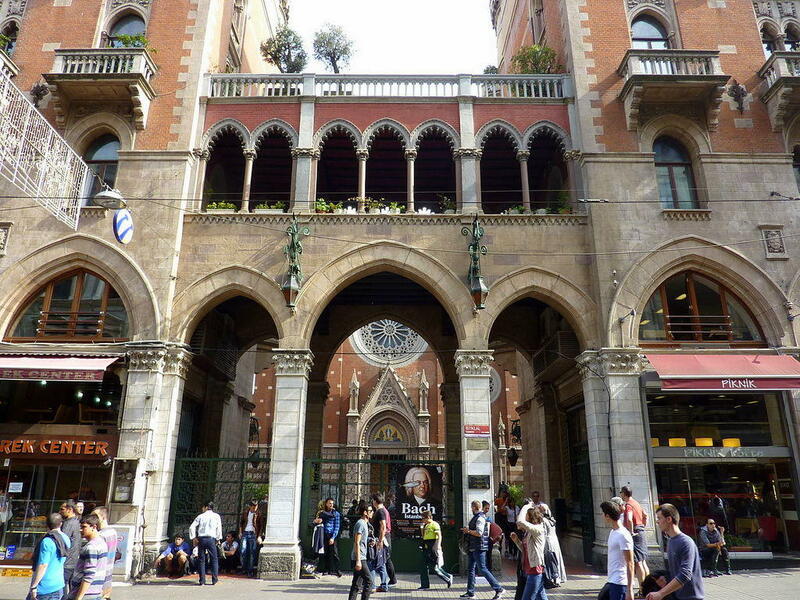 Istiklal Avenue is a street of 1.5 km length that begins from Taksim Square and goes until Tunnel Square. 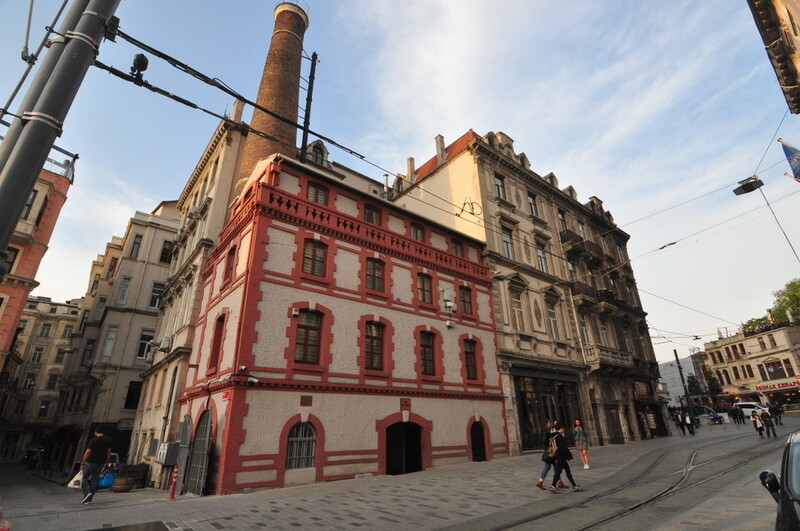 Alongside the Istiklal Avenue and in the by-streets, there are many interesting places to see. Taksim Square is just like the heart of the city. Celebrations, demonstrations and protestations are generally held here. Famous Gezi Park protests, which were kindled by the youth who were against the governmental plan to turn the park into a shopping mall, took place there as well. There is a two sided statue in Taksim Square symbolizing the foundation of the Republic of Turkey. One side shows Mustafa Kemal Atatürk wearing a military uniform while leading the War of Independence and the other one shows him wearing a suit while leading the reforms. 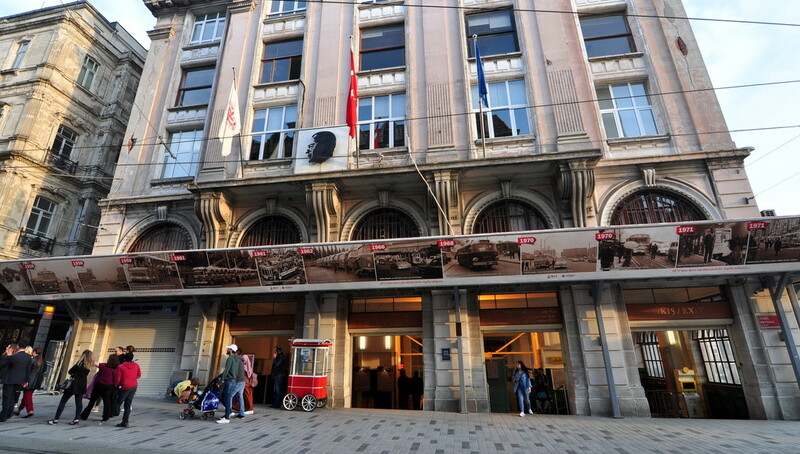 The first stop of Nostalgic Tram, with which you can travel along Istiklal Street, is just next to the statue. Tram is carrying people from Taksim Square to Tunnel Square just like in the 19th Century. One of the icons of Taksim Square is the hotel named The Marmara. There is a good restaurant named Kitchenette at the square. While walking to Tunnel from Taksim Square, there is a high school building that takes attention with its monumental gates. It is a big school founded by the state in 18th Century during the westernization period. It is still one of the most prestigious high schools in Istanbul. Just next to Galatasaray high school, on Yeni Çarşı Street, there is a cafe named Ara Cafe. It belongs to Turkey’s most famous photographer Ara Güler. 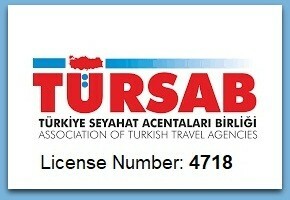 After following Yeni Çarşı Street, one can easily arrive in Çukurcuma. On the parallel to the same street, there is a street full of restaurants named Cezayir Street which is a very nice place to eat delicious food and enjoy a glass of wine accompanied by live music. In Galatasaray Square, there is a building named Çiçek Pasajı dating back to 1870. When you enter this buildings, you will see fish restaurants next to one another. It is a lively place famous for local musicians, mezes and well known restaurants. At the exit of Çiçek Pasajı, there is Beyoğlu Balık Pazarı (Beyoğlu Fish Market) and souvenir shops. 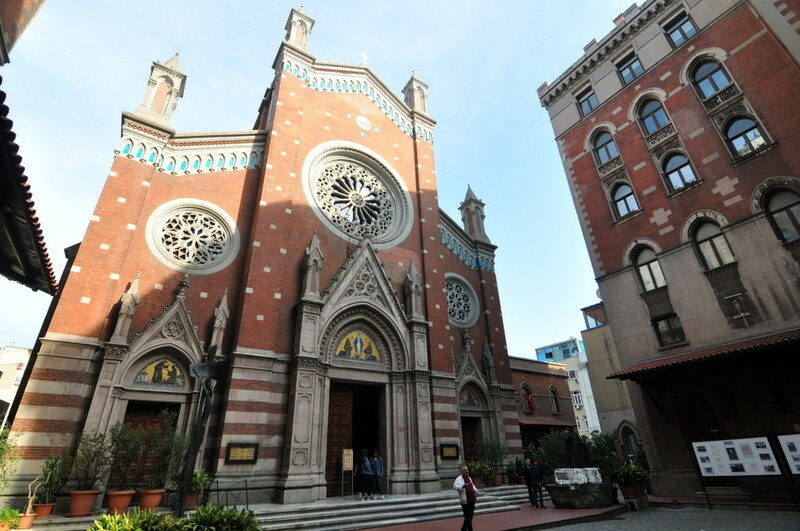 Saint Antoine de Pedova Church is located inside a big courtyard behind a big entrance door in Istiklal Avenue. It is a busy church that accepts foreign and local visitors every hour of the day. This catholic church was initially built in 1763 for the French and Italians living in the area. The original building, which was demolished while the avenue was being renovated, was rebuilt in 1911. The structures inside the garden of the church may make you feel like you are in Venice due to the exquisite architecture and beautiful windows. Getting its name from a small mosque that no longer exists, this street is full of restaurants, art galleries and pubs. Fish restaurant called Mavi Melek in this street is my personal favorite with its fresh fish and delicious mezes. The Asmalı Mescit street is like a passage between Istiklal Street and Meşrutiyet Street (Pera), which is parallel to it. Mesrutiyet Street also has a lot to offer. 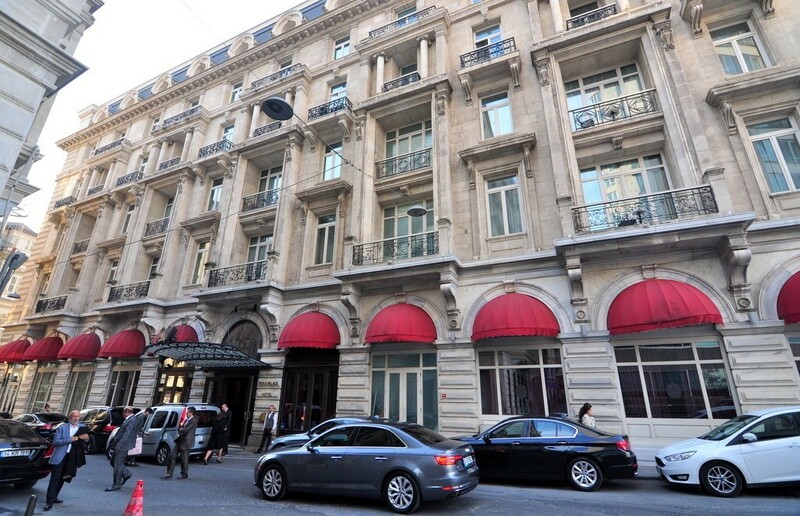 In addition to hotels like Pera Palace, Palazzo Donizetti, Soho House, Büyük Londra Oteli (Grand Hotel de Londres), The Marmara Pera, there are fabulous restaurants in Meşrutiyet Street. Big Chefs, Meze by Lemon Tree and of course one of a kind Mikla Restaurant are among them. It takes its name from Tunnel, which is world’s third oldest metro system. As a two-stop underground train, Tunnel has been active since 1875. 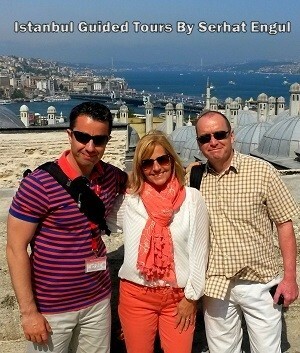 It was built by a French named Eugene Henri Gavand who had hard time to go up through Galata ramp to Pera. It is the oldest metro system after London and New York. It takes its passengers from Karaköy shore and goes up to İstiklal Street. Tunnel Square is also the last station of nostalgic tram that leaves from Taksim Square. You can reach Galata Tower by following Galip Dede Street that goes down from Tunnel. Whirling Derwishes Hall is located on this street. 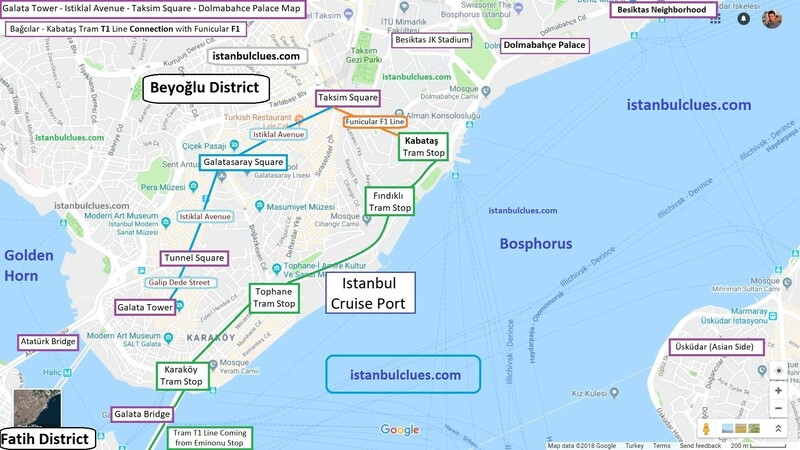 How To Get from Sultanahmet to Istiklal Street (Caddesi)? First of all you need to find the tram stop in Sultanahmet. 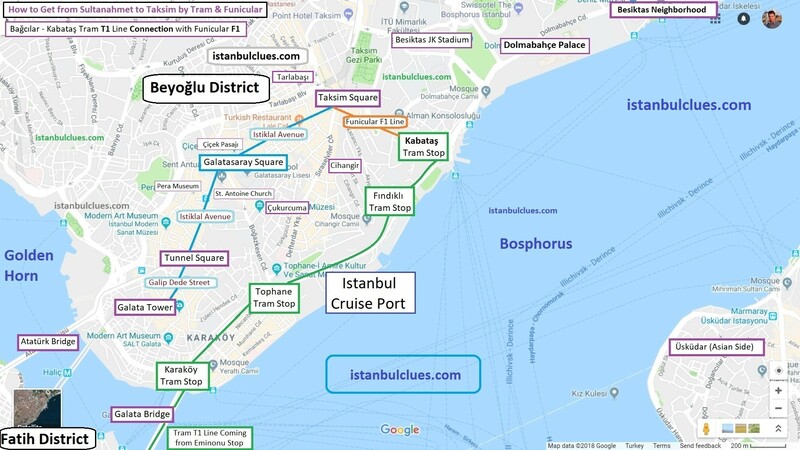 Then you can use either use Cable Car connection up to Tunnel Square OR Tram & Funicular connection up to Taksim Square. The Best Neighborhoods in Istanbul post might be interesting for you!